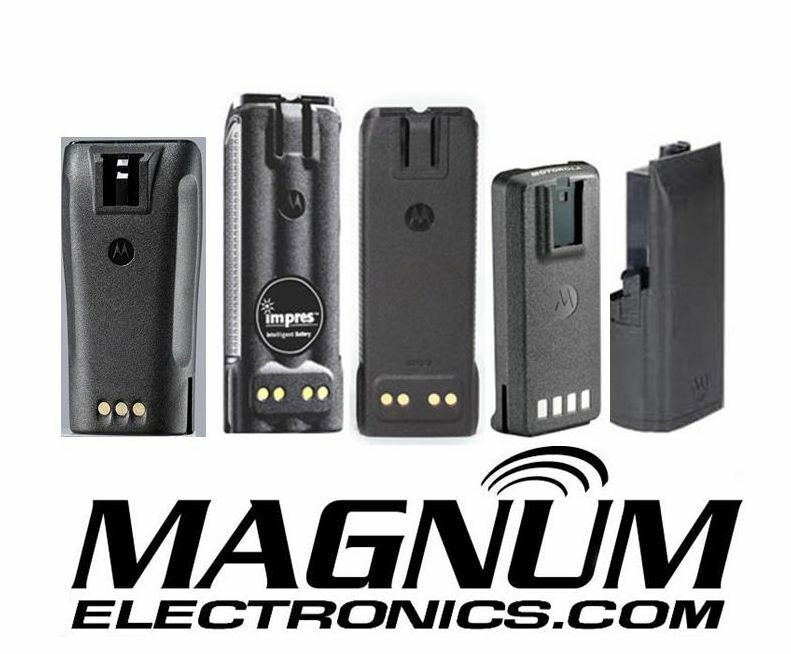 Battery Technology – Lithium Ion vs. Lithium Polymer | Magnum Electronics, Inc.
What is different between Li-ion and Li-Polymer Batteries? We have received several inquiries about the newest battery technology, Li-Po, that is now available for 2-way radios. Historically, NiMH was an improvement as compared to NiCD and Li-ion has many advantages over NiMH. The assumption that Li-Po is now the best battery for your radio is more marketing than anything else. Li-Po or Lithium Polymer battery cells still use the same chemical material as Li-ion but the difference is the way they are packaged. Li-ion batteries use a thick-walled, rigid aluminum case for the cells and Li-Po utilizes a new thinner foil aluminum case. Bottom line is the difference is all in the cell construction. Battery capacity measured in mAh – The higher the mAh number the longer your battery will work before needing a recharge. When comparing specs be careful when you see the words “typical” or “average” and not “minimum” or “rated”. Our experience is there can be a big difference in actual results. IMPRES or Advanced Charging Technology – “Smart battery” automatic conditioning improves performance and keeps them in service longer. Drop Specification – Dropping the radio is probably the most common reason why batteries fail. Most Motorola mission-critical batteries are rated at 36 drops from 5 feet to a concrete floor. IP (Ingress Protection) Rating – Higher IP numbers are better and signify the ruggedness of the battery. The first number references solids and the second number signifies liquid protection. The highest solid number is “6” (dust tight) and the highest liquid is “8” (submersibility beyond 1 meter). Overvoltage protection circuit – Better batteries have 2 levels, some have 1, and lower cost batteries may not include have protection at all. Temperature Range – Extreme cold affects Lithium battery performance and the spec should be investigated if your environment is outside “normal”. Intrinsically-Safe Rating – FM Approval is important if you use your radio in hazardous, combustible atmospheres where an electrical spark could cause an explosion. This entry was posted in APX Radios, IMPRES, Motorola, Portable Radios, Tech Tips, Vertex-Standard and tagged 2-way radio, Batteries, communications, IMPRES, Vertex-Standard, XTS by magnumelectronics. Bookmark the permalink.